2009 was a year of challenges and improvement. In the middle of the hardest economic crisis that our sector has experienced and, in general, the whole of Spanish society, Talleres Cortés decided to expand its business beyond national borders. Again, the Alcora factory made history by looking for an opportunity, in this case in Peru, where it decided to establish its headquarters for America. All the beginnings are difficult, and the beginning of the Latin American journey was not easy either. It obliged a large investment in machinery and technology to match the company’s performance in Spain to the new business. And all this at a time of great economic uncertainty. But the bet, founded on the need to serve a market that awakens, is today more than consolidated. Nearly a decade later, Cortés Moldes Perú operates with the tranquillity of designing, marketing and offering an after-sales service to a customer that has identical guarantees to the local one. Thanks to this ambition, Cortés products are sold in any country in the world. From Spain, they serve Europe, Africa and So, while the factory in Peru distributes and markets for America. Thanks to this conception of the business, the company has more facilities to adapt to the demands of each area. Not in vain, ceramic moulding is also subject to geographical and temporal trends. The client is the only one alive where he lives and that is where proximity brings all its potential. As in the physical store, repairs and after-sales service also work at full capacity in the plant in Peru, which extends product and service to the American continent. The own machinery allows a highly qualified team to meet the needs of a client that lacks a similar integral service in the whole of America. 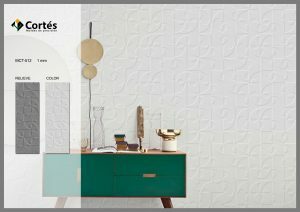 All this offer of services can be found on the website www.designscortes.com to give visibility to a realistic catalogue anywhere in the world. Research, development and innovation (R + D + i) are assumed concepts for a company such as Talleres Cortés S.L., which since 1951 has been searching for new solutions for ceramic die-casting. During this time, he has not renounced his vocation to improve in order to meet the demands of a single client. The new challenges of the Alcora factory go through the pressing of large formats and high reliefs. The research has been key to the company has adapted without further setbacks than those of the competition to these new trends. These go through a revolution in the conception of the pieces and, therefore, also in the machinery that processes them. This fact led the company to an effort to modernize equipment. This is the case of the pressing of large formats, which has special moulds to facilitate digital decoration. The research to stay ahead of these new market demands was followed by the development of a new plant concept to implement the 4.0 industry model. Talleres Cortés fulfilled the maxim of innovation at a time of change for the ceramic sector. These developments in the factory will result in cost savings in the medium and long-term. Talleres Cortés fulfils the pretensions of researching, developing and innovating to guarantee the future of the company and contribute to the advances in the sector as a whole. Not in vain, to adjust to those premises in anything supposes to do without the rest of characteristics that define to the first company of Spain dedicated to the manufacture and repair of moulds for the ceramic industry. Talleres Cortés keeps intact the commitment to the development of a new plant concept, the renewal of machinery to adapt to the demand of large formats and, above all, to attend professionally and quickly to a customer who demands quality. 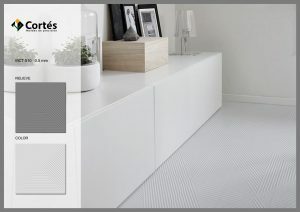 Talleres Cortés is immersed fully in the transformation of its production process. Aware that the future is about adapting to changes, the factory has begun to turn towards Industry 4.0. The moulds for the tile industry also have to adjust to the new manufacturing tools and the technology is taking over the plant in order to work more efficiently. The first pillar of this work model is the digitization of the workshop, of the whole of the plant, so that all the gear is under computer control. The second step is to create flexible products and, at the same time, to make production more flexible. In the case of Cortés, the digitalization of production is already in place. The objective is for the workshop terminals to allow the entire chain, in which, in addition to sales and management, the client is also included, to know the status of each product. Industry 4.0 is a commitment to high technology machinery operating in the facilities, all designed to meet the demands of a ceramic sector in constant change. The result of this ambition also forces the human team to a new effort for continuous recycling. The professionals of the brand have adapted to this model of the workshop that distances itself from the old practices every day. In addition, apart from immersing fully in this new conception of work, Talleres Cortés has implemented its own internal management program for production, an internal quality control based on continuous product improvement. The client’s demand, the need to personalize the catalogue and the interest to always offer the best result of his work has led the factory to self-evaluate to maintain that high level of demand. In this way, industry 4.0 ceases to be the future to become a revolution that is already visible in factories like Cortés. The manufacture and commercialization of moulds for the tile do not escape the implantation of this process of industrial modernization that, in the medium and long-term, will suppose a reduction of the costs and will entail a greater degree of quality to the product. Talleres Cortés S.L., the first company in Spain dedicated to the manufacture and repair of moulds for the ceramic industry, knows firsthand how important investment is for a factory that looks to the future. Sustaining a business in constant change and adapting to the demands of the market also forces us to introduce innovations in the plant. That is why the Alcora company has spared no resources, nor will it, to place its workshop at the forefront of the sector. The specific case of Talleres Cortés has in its demand for large formats for the ceramic industry its greatest need to modernize facilities and equipment. The changes of the tendency now point to pieces of dimensions superior to what was customary in the most recent epoch, a fact that has led Cortes to renew equipment. 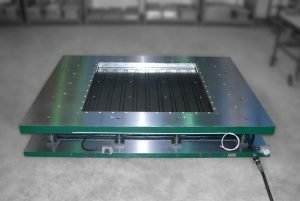 This is the case of the rectifier of flat surfaces, the new CNC or the vulcanizing press, all of them focused on serving a customer that demands large formats. In addition, Talleres Cortés has also increased its fleet of vehicles with a new truck that will contribute to the growth of the firm through a professional service. 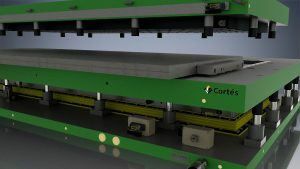 Investment in state-of-the-art machinery is part of the letter of presentation of the Cortés brand, synonymous with good practices in ceramic dies. The firm commitment to investment follows the line marked since 1951, in the origins of the company. Thanks to this commitment transmitted between generations, Talleres Cortés has overcome the ups and downs of the sector and the global economy has adapted to the changes demanded by a client with high expectations and today looks to the future with security. Not in vain, the renovation of the machinery of the plant through constant investments complements the rest of the assets of Talleres Cortés: a personalized service, 24-hour assistance, the strict internal control of quality and the commitment to R & D as shown of a complete business. Talleres Cortés, which opened its doors in 1951, starts 2018 with new objectives after having consolidated a secure trajectory in the creation of moulds for the ceramic sector. From its factory in Alcora, the company has achieved a portfolio of clients attracted by the confidence and the permanent will to renew. In a sector in constant change, the adaptation to the new circumstances and desires of the client has made the competition an added value to the mission of Talleres Cortés. A reference to the ceramic moulding of the province, the firm has overcome the challenge posed by the economic crisis in society as a whole, and especially in the sector, prepared to face new challenges. Among others, the adaptation to the new claims of the clientele is strengthened and this is demonstrated by the investment made in recent years to acquire the machinery with which to meet the demand for large pieces that have been imposed as a new market trend. Their new interests do not end there. The web www.designscortés.com is the first online store for the purchase of designs for ceramic moulds, a portal that also offers a virtual catalogue with exclusive designs that include precision moulds, templates, rubber bands or punches. The client thus has the opportunity to buy and receive the product with the greatest speed at competitive prices and excellent after-sales service, with the same guarantees offered by the physical store. Not in vain, the 24-hour technical assistance, together with the manufacture and repair of all types of moulds, completes an integral service. Adapting to changes is vital to stay in a demanding market and digital tools contribute to this, but also the commitment to innovation and design that Talleres Cortés has imposed. In fact, the creation, adapted to personalized service, stands as an essential pillar in the structure of the company. The philosophy of Cortés has not changed despite the passage of time: offering a unique product to a unique client. Wherever you are. This fact, together with the ambition to develop new projects, led the company to open the subsidiary Cortés Moldes Perú in 2009 to meet the demand of America. To the clientele of Europe, Africa and Asia there was added a new market that today brings a new value to the company and the vocation to keep growing. And this has also contributed to the technological capacity of a company that continues to research large formats and digital inkjet decoration. R & D & I is solved by investing in the future and in the present. 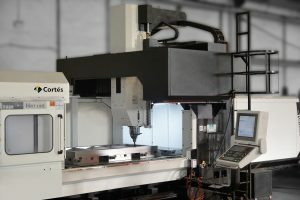 Talleres Cortés has incorporated into its team a new CNC, a rectifier of flat surfaces and a vulcanized press to add in that effort for modernization. In this sense, the Alcora factory is fully immersed in the process to implement Industry 4.0 and also extend it to its customers. The digitization of the workshop and the flexibilization of the production chain add the effort to show in real time the state of the product. It is a revolutionary process that requires dedication and financial support for those who do not think Cortes spare resources. The quality control exceeds the guidelines followed to date to be part of a more intense, more ambitious project. We refer at this point to the continuous improvement of the product, which is undoubtedly the biggest revolution in the industry in modern times. The smart factory, designed to take advantage of the technology of the moment, has come to stay (and to be perfected) and Talleres Cortés will grow with it. Making technology compatible with the customer is one of the challenges of the future, but a human team with solid and professional training has already enabled the terminals to be digitized so that all the parties involved can check the status of the goods in real time. The polyvalence of the workshop has marked the trajectory of the company from 1951 to the present. After 66 years of dedication, Talleres Cortés is a benchmark in ceramic moulding beyond the national market. This is demonstrated by an extensive and solid portfolio of clients, the strict internal quality control and the external audit to which their production processes are subjected. This is how a chain that aspires to perfection works. In a sector that is constantly changing and with the ambition and competitiveness that have existed for years in the ceramic business, achieving the label of pioneers, more than a challenge, is almost a utopia. However, Talleres Cortés, in its constant effort for innovation, has achieved it in the field of design in the digital environment. The Alcora factory has opened the first online store in the world to buy designs for ceramic moulds. The end of the Cevisama fair is synonymous with balance sheets, summaries, and challenges for the future. Talleres Cortés does not escape from this analysis that is submitted daily to consolidate in a sector in constant change. 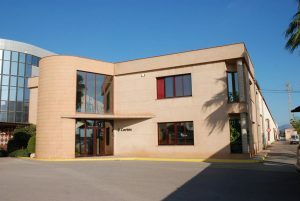 Being the first company in Spain dedicated to the manufacture and repair of molds for the ceramic industry and a reference for the whole sector is a responsibility that the Alcora factory faces with professionalism. 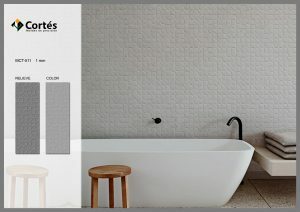 As a result of this desire for renewal, www.designscortes.com is the first online store for the purchase of designs for ceramic molds. This virtual catalog also offers precision molds, templates, rubber bands or punches. The needs have changed and so has the demand for parts. At present, the large dimensions prevail as a new market trend and, facing this challenge, Talleres Cortés responds with investment to renovate machinery capable of meeting the requests of its customers. The rectifier of flat surfaces, the new CNC, the vulcanizing press or a new truck is some of the latest acquisitions in a plant that already follows the precepts of Industry 4.0. We refer to a conception of the factory, to a change in the control of manufacturing and distribution that allows the client and businessman to follow each step of each piece in real time. The industrial revolution of the 21st century is underway and Talleres Cortés is working in that direction. And also for the whole world since 2009 opened the factory in Peru. The expansion to meet the demand of America joins the export to Europe, Asia, and Africa. In a global market, the company follows the same recipe that it has employed since its foundation in 1951: personalized attention, 24-hour technical assistance service and professionalism throughout the production, distribution and repair chain. Today Talleres Cortés maintains its foundational pillars but has multiplied its technology capacity with research in large formats and digital inkjet decoration. The R + D + i is part of the DNA of the company to modernize and successfully overcome the obstacles imposed by business cycles.